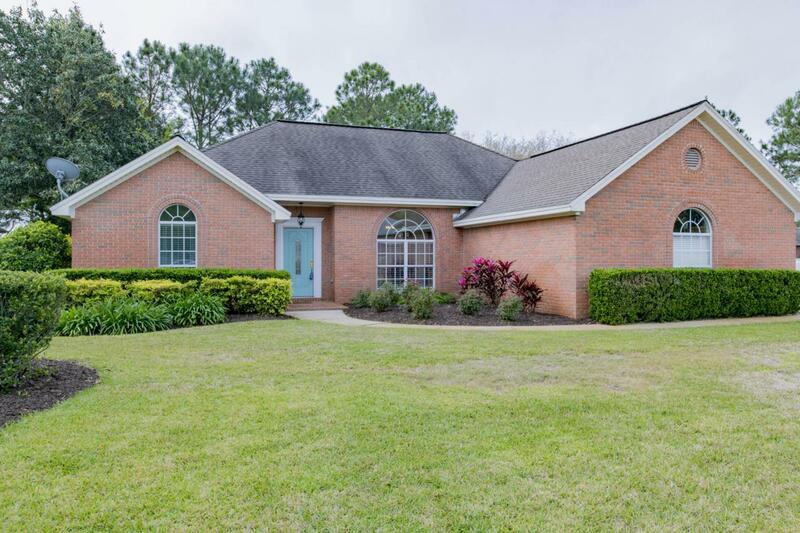 Located in the desirable neighborhood of Tiger Point, a golf course community, this home is situated on a large corner lot and features a circular driveway allowing for extra parking. With 3 bedrooms 2 bathrooms, this home offers a split floor plan, vaulted ceilings and a wonderful sun room that opens up to a lanai perfect for entertaining. The master suite has a tray ceiling, hardwood floors, double vanities, separate shower and soaking tub and a walk in closet located in the bathroom and an additional over-sized walk in closet off the bedroom with ample natural light. This room would make for a great office space as well. The kitchen is equipped with a pantry, island and a breakfast area/sitting area. 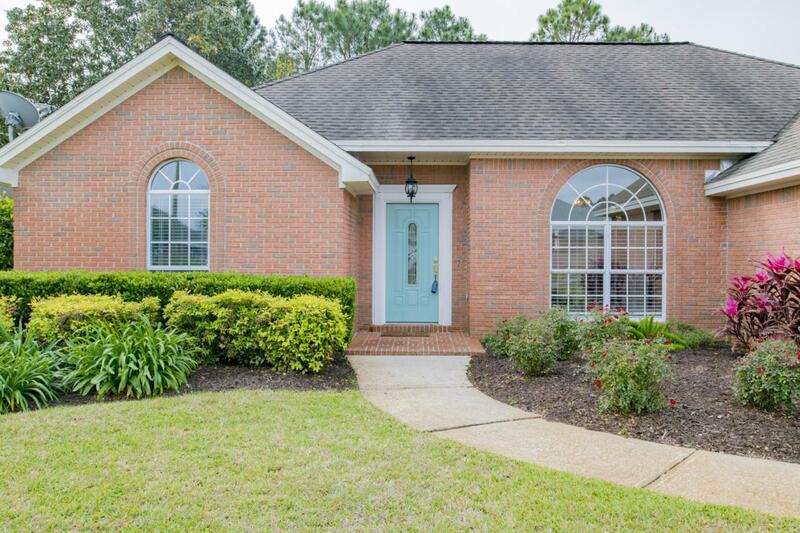 You'll also enjoy the gas fireplace, hardwood floors throughout the living room and 2 aLocated in the desirable neighborhood of Tiger Point, a golf course community, this home is situated on a large corner lot and features a circular driveway allowing for extra parking. With 3 bedrooms 2 bathrooms, this home offers a split floor plan, vaulted ceilings and a wonderful sun room that opens up to a lanai perfect for entertaining. The master suite has a tray ceiling, hardwood floors, double vanities, separate shower and soaking tub and a walk in closet located in the bathroom and an additional over-sized walk in closet off the bedroom with ample natural light. This room would make for a great office space as well. The kitchen is equipped with a pantry, island and a breakfast area/sitting area. You'll also enjoy the gas fireplace, hardwood floors throughout the living room and 2 additional bedrooms. New light fixtures and fans in the main living area. 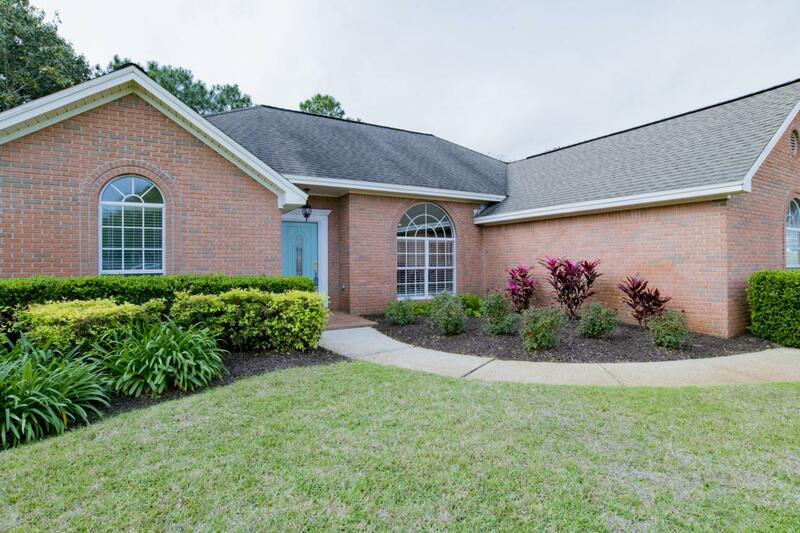 Walking distance to Tiger Point Rec Center, Publix, Lowe's, Wal-Mart and more shopping. Minutes to Pensacola's beautiful beaches. Don't miss your chance at this Golf Course community home and don't forget to bring your clubs! © 2019 Emerald Coast Association of Realtors MLS. All rights reserved. IDX information is provided exclusively for consumers' personal, non-commercial use and may not be used for any purpose other than to identify prospective properties consumers may be interested in purchasing. Information is deemed reliable but is not guaranteed accurate by the MLS or Classic Luxury Real Estate, LLC. Data last updated: 2019-04-25T17:59:32.563.